Now, everybody's preoccupied with anything U.S.-made or/and bearing the 'N' — back in early 2009, people seemed to balk at the prices of these beautiful shoes. Nobody's going to admit that because they don't want to look like new-jacks though. ALIFE' s A.R.C. store opposite the Rivington Club celebrated sports luxury and performance, and these were a perfect collaboration that brought out the technical running aspect of the shoe while still commemorating the luxury side of the 1300 with its legacy of street level wear via characters who had the boosting skills or means to grab a pair at their original cost. These A.R.C. 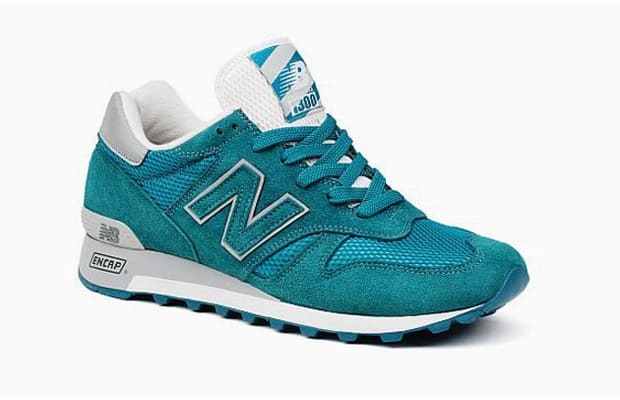 variations didn't come cheap either, but the materials, colors and details, down to the hangtags, plus the accompanying factory video amplified all that's great about New Balance.